Advantage Wares: Blinds, Screens & Awnings is a family owned and operated business. 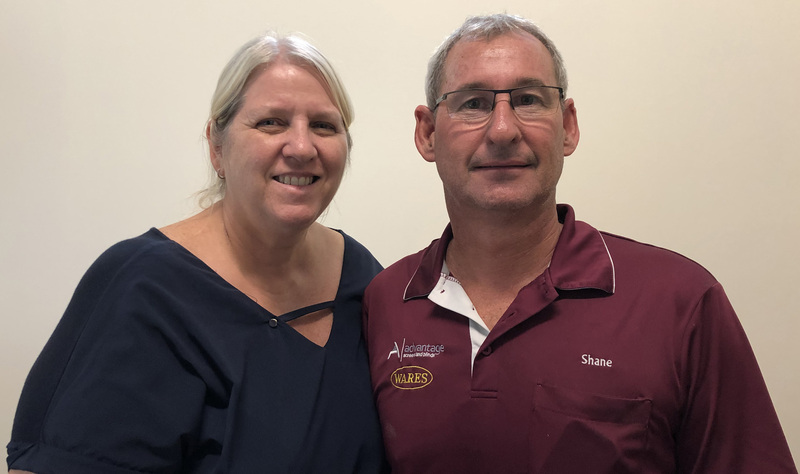 Owners Shane & Lisa Gardiner have been providing high-quality products at competitive prices in the Gladstone region for over 15 years. With the aim of ensuring their customers are 100% satisfied with their purchase, Shane and Lisa’s experienced staff offer obligation free measure and quotes for their made to measure products. “We only sell quality products that are well-manufactured with resilient, durable, top-shelf materials,” Lisa said. “The friendly team at our Gladstone showroom on Toolooa Street are all familiar with our products and can advise you on the best products to suit your needs. Our unique range of products include Vertical Drapes, Roller and Media Blinds; Panel Glides; PVC and Aluminium Venetians; Timber, PVC & Aluminium Shutters; Security Screens and Stainless Mesh Security Screens; Aluminium and Canvas Awnings; Robe Doors; Showers; Mirrors; Glass; Motorised Internal and External Blinds and we can supply and install all of these products. We can also cut glass and Perspex to size and reglaze glass if required” Lisa added. Visit Advantage Wares Blinds, Screens & Awnings to chat about your ideas and requirements. The right screens, blinds or awnings in your home can help keep your home cooler in summer and warmer in winter! Purchasing any of their large variety of products before December 14th means you can enter Gladstone’s Shop to Win $10,000 competition so don’t miss out! Don’t you think that would be a great way to finish off the year?